I’d wandered up and down that street a hundred times looking for the unassuming wooden facade. On two separate visits in the past four years, I looked for Ed “Doc” Ricketts’ Pacific Biological Laboratories, knowing it only from photographs published in the many biographies of John Steinbeck I’d read for my Masters’ thesis. It was the one remaining piece left to be placed in my quest to trace Steinbeck’s time in the Monterey Bay. Finally, two weeks ago, during an unseasonably warm mid-winter visit, I found myself unexpectedly face to face with the elusive lab. An incredible sense of fulfillment overwhelmed me as I realized the final piece had been placed. 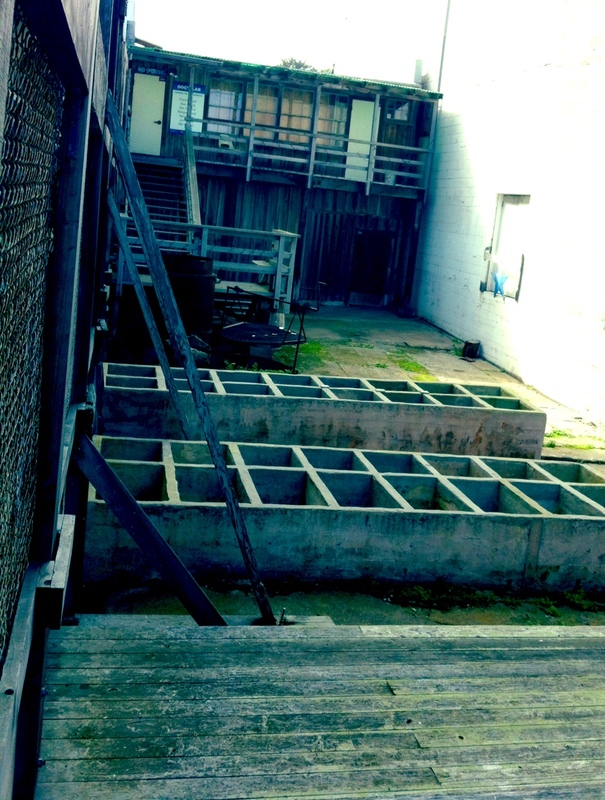 View of the back yard of Doc Ricketts’ lab, including holding tanks for specimens that were brought in from the Bay. How had I missed it before? Perhaps construction on the adjacent hotel had covered the tiny building from view? Perhaps it was obscured by scaffolding, a truck, or one of the many throngs of tourists? Perhaps it had been in plain view all these years and I needed to find it now, as a reminder of just how satisfying it is to come across another literary jewel. This tiny plank-covered building was an epicenter of inspiration back in the early 1930s. Steinbeck spent mass amounts of time here with his buddy Doc. They studied sea life, traveled through the bay and beyond in search of new discoveries and gleaned from each other a sense of camaraderie that endures through the words of Steinbeck in books like Cannery Row and The Sea of Cortez. Although my thesis (Literary Legacies) was completed four years ago, the thrill of sitting on the front porch of one of Steinbeck’s classic haunts remains. A spirit of inspiration, friendship and discovery radiates from that place, and will continue to do so thanks to the fact that the building has been put on the National Registry of Historic Places. Few other people walking by recognized its significance. 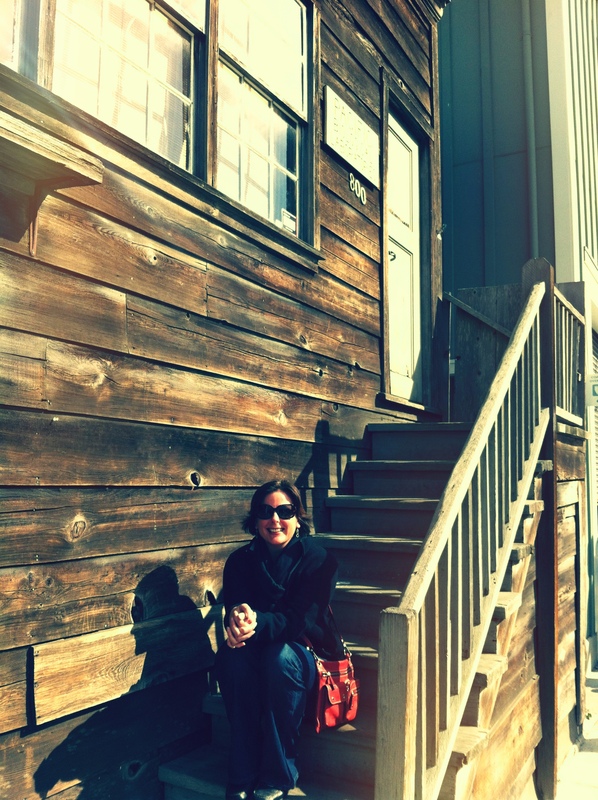 Two other couples stopped to take photos, but most tourists walking by were too distracted by the looming Monterey Bay Aquarium next door to realize the significance of this tiny jewel of a shack that once lured intellectuals and philosophers amid the buzz of Cannery Row. > Learn more historic detail in This article from NPR.